Below you’ll find a review of Neill Bloomkamp’s Action-Sci-fi hybrid, District 9. I’m also including a podcast about the film which I conducted with the official mascot for Hamburger Helper, Helping Hand. The downside of a genre movie’s success is that even though most of the eventual rip-offs are obvious, sometimes a truly interesting piece of work falls victim to the zeitgeist, taking the edge off what might have been a fascinating project. Pulp Fiction and Reservoir Dogs were the major inspirations of the last 15 years, especially in the way that they attempt to humanize the previously unknown, gangsters, drug addicts, etc. This even extends to a movie like Hancock, which is an attempt to detail the drudgery of being a superhero, and how Will Smith’s annoyances may be of a different type, but they are still relatable. Recently, one of the more influential successes was Matt Reeves’ Cloverfield which dared to deliberately give us self-centered and annoying characters amidst the big-budget Blair Witchery, and only small glimpses of its [ultimately unimpressive] monster. Cloverfield was creepy, shocking, and even when it should have, refused to break the documentary notion, having the main character shoot everything with his camera, despite it being more sensible for him to drop the camera and run. The movie really gave the impression of what it might be like to be in such a confusing calamity, avoiding an unknown monster and trusting that your human instincts are the right ones to follow. It was the disorienting Godzilla that Roland Emmerich’s overlong 1998 bore should have been. 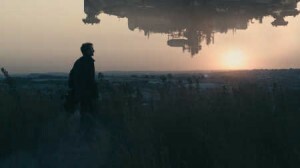 Whether it was a concession or not is unclear, but Neill Bloomkamp’s District 9 takes Cloverfield’s style of an off-the-cuff documentary about an alien invasion, when it would have worked better as simply a standard fiction film. Bloomkamp, who envisioned using his aliens stranded on earth concept as a way to deal with racism, furthered by the decision to set his movie in Johannesburg, South Africa, would have been able to retain his message in a lot more subtle fashion if it wasn’t shoved in our faces on a constant basis. 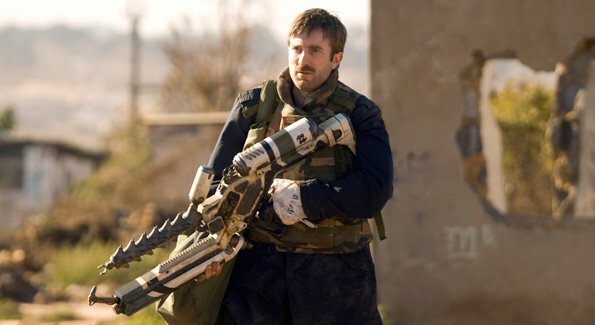 It’s a shame, because everything else in District 9, from the extraordinarily integrated special effects to the tension and the action sequences are top-of-the-line. The aliens in District 9 (a visual mix of Cronenberg’s The Fly and the Predator) are relegated to a cordoned-off slum because the locals resent their presence. Even then, after they’ve been stuck on Earth for more than 20 years, the humans want the aliens gone, and an evil corporate entity with a private military contract, MNU (Multi-National United) is sent in to do the eviction dirty work. That’s how the main character, Wikus, a weasely, naïve representative of MNU, granted his high rank because of nepotism, is introduced to us. His sloppy nervousness when trying to get the aliens (derogatorily referred to as prawns, because of the way they look) to mark a piece of paper with their claw, as a way to prove that they’ve been informed of their imminent departure, starts out as funny, and grows more serious and troubling as not everything goes as planned. The opening act of the film is nerve-wracking and very well acted (especially Sharlto Copley, as Wikus), giving us as many details as it can (such as the way that local Nigerians control the slum) before dovetailing into a standard action movie. These details are crucial to the film’s success, it would be very easy to set up the concept and never develop it, just using it as an excuse to blow things up. Bloomkamp (and producer Peter Jackson) is willing to humanize the aliens, getting over the language barrier issue that could have been a major stumbling block by having the natives understand the clicking noises that the Prawns make. This is the major difference between District 9 and a unfulfilling movie like Alien Nation, which has a very similar central idea, even the notion of giving the aliens anglicized names (the main alien character in District 9 is given the name Christopher Johnson, another subtle symbolic slave notion for Mr. Bloomkamp). Alien Nation is just a buddy-cop movie where James Caan’s partner has spots on his head and is allergic to water, as opposed to say, in Freebie and the Bean where Caan’s partner is a neurotic Hispanic (played by Alan Arkin). District 9 lays out the specificities of the Prawn culture to the point where they become clearly more worthy of our sympathy than the humans, quite an accomplishment seeing as the Prawns are entirely CGI. Usually, CGI creatures are an immediate sign of an interest in technology and not in characters. It can drown a movie like Iron Man, which was nearly perfect for the first two acts before it became a special effects battle between two CGI robots. The same is true of last year’s The Incredible Hulk and most clearly Michael Bay’s Transformers, which proved that it was possible to screw up the simplistic idea that watching robots fighting each other would be exciting. However, in District 9, when the robot theatrics (and the BrundlePrawn sequences) begin, it isn’t just boring property destruction. The clearest example of Peter Jackson’s influence is in the amusingly gory deaths, exploding heads, massive carnage, all a throwback to Jackson’s history as a splatter director in films like Bad Taste and Braindead/Dead Alive. The constant energy and ingenuity of the action almost helps you forget that the central plot point, involving a canister made by the Prawns, and basically a McGuffin, contains a plot hole bigger than the Prawn’s beautifully designed ship. It’s such a stupid nagging detail (considering what the Prawns have already hidden, it would have been pretty easy to hide a thermos) that it spells the end of the suspense, since it is so clearly placed in the plot to justify the numerous action scenes. 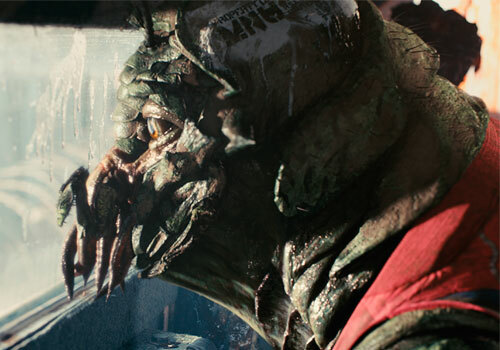 The disconnect between the first and second half of the movie (which has very little of the documentary conceit) shows you how great District 9 could have been, if Jackson and his financial backers had allowed it, instead of just what it is, exciting, but with nothing lingering in the mind after it was over. The blueprint for this type of tonal change is Robert Rodriguez’s From Dusk Til Dawn, which spends an hour developing dark, funny, and mean-spirited criminals, only to spend the second hour having them blow vampires up. When watching a movie, it shouldn’t be so obvious when the exact moment arrives that the filmmakers stopped caring about their story and just went for amusing but dim exploitation. While a lot of fun to watch, the final act of District 9 is just a lot of random killing and explosions. If Salma Hayek had shown up with a large snake around her neck, it wouldn’t have seemed any more out of place. 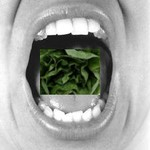 This entry was posted on Friday, August 14th, 2009 at 1:23 pm	and is filed under Action/Adventure, Sci-Fi. You can follow any responses to this entry through the RSS 2.0 feed. You can leave a response, or trackback from your own site.